"The country’s big low-fat message backfired. The overemphasis on reducing fat caused the consumption of carbohydrates and sugar in our diets to soar. That shift may be linked to the biggest health problems in America today. … Fat is not the problem." What if what they call “Bad Fat” is actually Good For You? For decades, Americans have been told that saturated fat clogs arteries and causes heart disease. But there’s just one problem: No one’s ever proved it! Similar observations were made of the Samburu — another Kenyan tribe — as well as the Fulani of Nigeria. While the findings from these cultures seem to contradict the fact that eating saturated fat leads to heart disease, it may surprise you to know that this "fact" isn’t a fact at all. It is, more accurately, a hypothesis from the 1950s that’s never been proved. The first scientific indictment of saturated fat came in 1953. That’s the year a physiologist named Ancel Keys, Ph.D., published a highly influential paper titled "Atherosclerosis, a Problem in Newer Public Health." Keys wrote that while the total death rate in the United States was declining, the number of deaths due to heart disease was steadily climbing. And to explain why, he presented a comparison of fat intake and heart disease mortality in six countries: the United States, Canada, Australia, England, Italy, and Japan. The Americans ate the most fat and had the greatest number of deaths from heart disease; the Japanese ate the least fat and had the fewest deaths from heart disease. The other countries fell neatly in between. The higher the fat intake, according to national diet surveys, the higher the rate of heart disease. And vice versa. Keys called this correlation a "remarkable relationship" and began to publicly hypothesize that consumption of fat- causes heart disease. This became known as the diet-heart hypothesis. Despite the apparent flaws in Keys’s argument, the diet-heart hypothesis was compelling, and it was soon heavily promoted by the American Heart Association (AHA) and the media. It offered the worried public a highly educated guess as to why the country was in the midst of a heart-disease epidemic. "People should know the facts," Keys said in a 1961 interview with Time magazine, for which he appeared on the cover. " Then if they want to eat themselves to death, let them." Today, it’s well established that stearic acid has no effect on cholesterol levels. In fact, stearic acid — which is found in high amounts in cocoa as well as animal fat –is converted to a monounsaturated fat called oleic acid in your liver. This is the same heart-healthy fat found in olive oil. As a result, scientists generally regard this saturated fatty acid as either benign or potentially beneficial to your health. Palmitic and lauric acid, however, are known to raise total cholesterol. But here’s what’s rarely reported: Research shows that although both of these saturated fatty acids increase LDL ("bad") cholesterol, they raise HDL ("good") cholesterol just as much, if not more. And this lowers your risk of heart disease. That’s because it’s commonly believed that LDL cholesterol lays down plaque on your artery walls, while HDL removes it. So increasing both actually reduces the proportion of bad cholesterol in your blood to the good kind. This may explain why numerous studies have reported that this HDL/LDL ratio is a better predictor of future heart disease than LDL alone. We’ve spent billions of our tax dollars trying to prove the diet-heart hypothesis. Yet study after study has failed to provide definitive evidence that saturated-fat intake leads to heart disease. The most recent example is the Women’s Health Initiative, the governments largest and most expensive ($725 million) diet study yet. The results, published last year, show that a diet low in total fat and saturated fat had no impact in reducing heart-disease and stroke rates in some 20,000 women who had adhered to the regimen for an average of 8 years. The Los Angeles VA Hospital Study (1969) This UCLA study of 850 men reported that those who replaced saturated fats with polyunsaturated fats were less likely to die of heart disease and stroke over a 5-year period than were men who didn’t alter their diets. However, more of those who changed their diets died of cancer, and the average age of death was the same in both groups. What’s more, "through an oversight," the study authors neglected to collect crucial data on smoking habits from about 100 men. They also reported that the men successfully adhered to the diet only half the time. The Finnish Mental Hospital Study (1979). This trial took place from 1959 to 1971 and appeared to document a reduction in heart disease in psychiatric patients following a "cholesterol-lowering" diet. But the experiment was poorly controlled: Almost half of the 700 participants joined or left the study over its 12-year duration. In 2000, a respected international group of scientists called the Cochrane Collaboration conducted a "meta-analysis" of the scientific literature on cholesterol-lowering diets. After applying rigorous selection criteria (219 trials were excluded), the group examined 27 studies involving more than 18,000 participants. Although the authors concluded that cutting back on dietary fat may help reduce heart disease, their published data actually shows that diets low in saturated fats have no significant effect on mortality, or even on deaths due to heart attacks. "I was disappointed that we didn’t find something more definitive," says Lee Hooper, Ph.D., who led the Cochrane review. If this exhaustive analysis didn’t provide evidence of the dangers of saturated fat, says Hooper, it was probably because the studies reviewed didn’t last long enough, or perhaps because the participants didn’t lower their saturated-fat intake enough. Of course, there is a third possibility, which Hooper doesn’t mention: The diet-heart hypothesis is incorrect. Ronald Krauss, M.D., won’t say saturated fats are good for you. "But," he concedes, "we don’t have convincing evidence that they’re bad, either." For 30 years, Dr. Krauss — an adjunct professor of nutritional sciences at the University of California at Berkeley — has been studying the effect of diet and blood lipids on cardiovascular disease. He points out that while some studies show that replacing saturated fats with unsaturated fats lowers heart-disease risk, this doesn’t mean that saturated fats lead to clogged arteries. "It may simply suggest that unsaturated fats are an even healthier option," he says. But there’s more to this story: In 1980, Dr. Krauss and his colleagues discovered that LDL cholesterol is far from the simple "bad" particle it’s commonly thought to be. It actually comes in a series of different sizes, known as subfractions. Some LDL subfractions are large and fluffy. Others are small and dense. This distinction is important. Men, more than women, are predisposed to having small, dense LDL. However, the propensity is highly flexible and, according to Dr. Krauss, can be switched on when people eat high-carb, low-fat diets or switched off when they reduce carbs and eat diets high in fat, including the saturated variety. 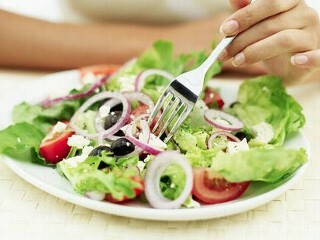 "There’s a subgroup of people at high risk of heart disease who may respond well to diets low in fat," says Dr. Krauss. "But the majority of healthy people seem to derive very little benefit from these low-fat diets, in terms of heart-disease risk factors, unless they also lose weight and exercise. And if a low-fat diet is also loaded with carbs, it can actually result in adverse changes in blood lipids." While Dr. Krauss is much published and highly respected — he has served twice as chairman of the writing committee of the AHA’s dietary guidelines — the far-reaching implications of his work have not been generally acknowledged. "Academic scientists believe saturated fat is bad for you," says Penny Kris-Etherton, Ph.D., a distinguished professor of nutritional studies at Penn State University, citing as evidence the "many studies" she believes show it to be true. But not everyone accepts those studies, and their proponents find it hard to be heard. Kris-Etherton acknowledges that "there’s a good deal of reluctance toward accepting evidence suggesting the contrary." "In the nutrition field, it’s very difficult to get something published that goes against established dogma," says Mozaffarian. "The dogma says that saturated fat is harmful, but that is not based, to me, on unequivocal evidence." Mozaffarian says he believes it’s critical that scientists remain open minded. "Our finding was surprising to us. And when there’s a discovery that goes against what’s established, it shouldn’t be suppressed but rather disseminated and explored as much as possible." This finding is worth noting, because even though cholesterol is the most commonly cited risk factor for heart disease, triglyceride levels may be equally relevant. In a 40-year study at the University of Hawaii, scientists found that low triglyceride levels at middle age best predicted "exceptional survival" — defined as living until age 85 without suffering from a major disease. Yet even with this emerging data and the lack of scientific support for the diet-heart hypothesis, the latest AHA dietary guidelines have reduced the recommended amount of saturated fat from 10 percent of daily calories to 7 percent or less. "The idea was to encourage people to decrease their saturated-fat intake even further, because there’s a linear relationship between saturated-fat intake and LDL cholesterol," says Alice H. Lichtenstein, Ph.D., Sc.D., who led the AHA nutrition committee that wrote the recommendation. It could be that it’s not bad foods that cause heart disease, it’s bad habits. After all, in Volek’s study, participants who followed the low-fat diet — which was high in carbs — also decreased their triglycerides. "The key factor is that they weren’t overeating," says Volek. "This allowed the carbohydrates to be used for energy rather than converted to fat." Perhaps this is the most important point of all. If you consistently consume more calories than you burn, and you gain weight, your risk of heart disease will increase — whether you favor eating saturated fats, carbs, or both. "The message isn’t that you should gorge on butter, bacon, and cheese," says Volek. "It’s that there’s no scientific reason that natural foods containing saturated fat can’t, or shouldn’t, be part of a healthy diet." For years you’ve heard that eating saturated fat is like pouring superglue into your arteries. But the fact is, this forbidden fat actually increases your HDL (good) cholesterol, which helps remove plaque from your artery walls, decreasing your risk of heart disease. So quit depriving yourself and start eating these eight foods — without guilt. Most people consider turkey, chicken, and fish healthy, yet think they should avoid red meat — or only choose very lean cuts — since they’ve always been told that it’s high in saturated fat. But there are two problems in that thinking. The first problem is that almost half of the fat in beef is a monounsaturated fat called oleic acid — the same heart-healthy fat that’s found in olive oil. Second, most of the saturated fat in beef actually decreases your heart-disease risk — either by lowering LDL (bad) cholesterol, or by reducing your ratio of total cholesterol to HDL (good) cholesterol. And besides being one of the most available sources of high-quality protein, beef also provides many important nutrients such as iron, zinc, and B vitamins. So the idea that beef is bad for you couldn’t be further from the truth. However, you should always buy organic, grass-fed beef! Grass fed beef has 10 times the Vitamins A, D and E.
I probably don’t have to sell you on the virtues of chicken and turkey. After all, nearly all experts agree that these foods are healthy sources of high-quality protein. But unlike most nutritionists, I also say go ahead and eat both the dark meat and the skin. Because both are composed of animal fat, their fat composition is very similar to that of beef. Meaning neither raises your risk for heart disease. Remember, eating more fat — not less — is the key in helping you automatically reduce your calorie intake, without feeling deprived. Always buy organic, free range chicken. It’s true: Pork really is the other white meat. Ounce for ounce, pork tenderloin has less fat than a chicken breast. And food scientists are finding ways to make it leaner and leaner every year. Of course, the downside to this is that fat is what makes pork taste so good — which explains why ham and bacon are far more popular than leaner cuts. (As Emeril Lagasse says, "Pork fat rules.") But remember, there’s no reason to fear fat. Not everyone has a taste for bacon, pancetta, and ham. But you can make your choice based simply on what you love without worrying about the fat in these foods. When you follow the TNT Diet, your health and body composition results will be every bit as impressive with these foods as without — so why deny your taste buds? One caveat: Bacon and other cured meats often contain sodium and other preservatives, such as nitrates, that may raise blood pressure or increase your risk for cancer. To limit your risk, choose fresh meats or packaged products that contain no preservatives — typically labeled "all-natural" , free range and organic. However, you’ve probably been told at one time or another to avoid eggs because they’re high in cholesterol and fat. This is the same thinking that led to low-fat diets — and a mindset that has probably made us a lot fatter over the past decade. It’s simply a leftover recommendation from the low-fat legacy that was never forgotten. Always buy cage-free, organic and free range eggs. If this delicious dairy product were the star of a sitcom on the Health network, the show would probably be called "Everybody Hates Butter." The reason, of course, is that it contains a significant amount of saturated fat. But again, it’s animal fat, like the kind in beef, bacon, and chicken skin. This is a natural fat that men and women have eaten for thousands of years. What’s more, fat, like that in butter, is necessary in order to help your body absorb many of the healthy nutrients found in vegetables. For instance, without fat, your body can’t absorb carotenoids — powerful disease-fighting antioxidants found in colorful vegetables — or fat-soluble vitamins, such as vitamins A, D, E, and K. So go ahead, eat butter, and do it without guilt. Always buy organic, or better yet, buy raw butter online. I follow the 50/30/20 way of eating. 50% calories from fat (75% of that is saturated), 30 proteins, 20% carbs (NOT bread and pasta). Remember that 95% of the calories in fruits and veggies are carbs, but they are not “empty” carbs. They are packed with vitamins, minerals, phytochemicals; enzymes and moisture that we need to obtain optimum nutrition.